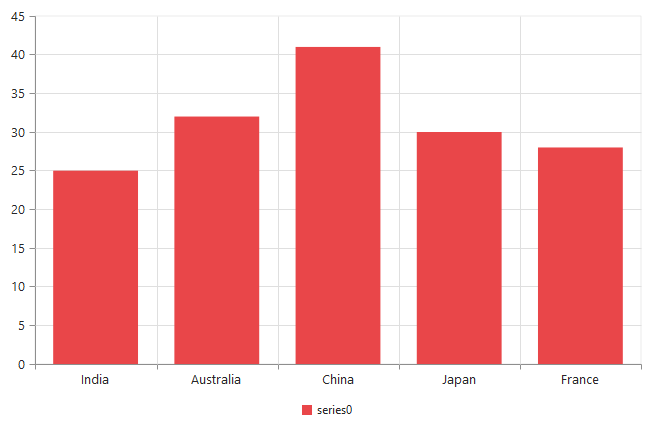 How to add a new series dynamically in Chart? Essential Chart supports dynamically customizing all the properties with the instance of Chart. You can create an instance for Chart by calling the ejChart constructor method with the string instance as parameter. 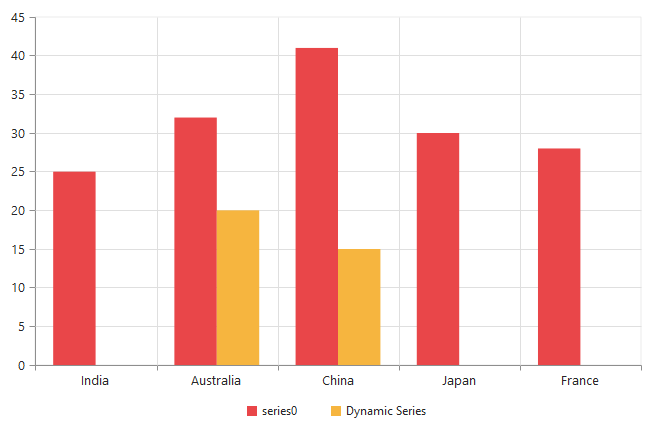 To add a new series dynamically, add a series object to the series collection of chart instance. The following code example illustrates the above. The following screenshot illustrates the Chart without series. The following screenshot illustrates the Chart after adding series.